Homecoming weekend has begun at Cleveland State University. 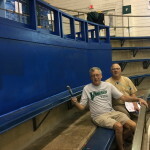 Alumni and friends will celebrate the completion of the Display of the history of the Fenn/CSU Swimming & Diving Program along with the rich past of the Fisher/Busbey Aquatic Facilities dating back to 1931. The Heritage Project represents much more than graphic displays, however. It is a living breathing process of building on the past, to inspire the current Teams and provide the resources for excellence in the future. Over the past 84 years Fenn College/ Cleveland State University have impacted aquatics sports in a profound way. Let me mention just a few of those pioneering moments. One of the finest and most beautiful swimming pools in the nation was built on the fifth/sixth floors of an early twentieth century downtown iconic high rise building named Fenn Tower. Fenn College evolved from the YMCA and made learning to swim mandatory for its students. 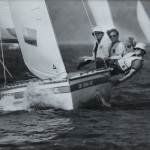 The requirement to swim continued through the early days of CSU into the 1980’s. The Fisher Pool was the site of the first televised swim meets in the late 40’s/early 50’s. It was the golden age of Fenn Fox Swimming without scholarships and yet record winning performances along with national recognition. In 1973 the “fastest pool ever built” was opened on CSU’s concrete campus. It was part of the two pool complex now called The Robert F. Busbey Natatorium. 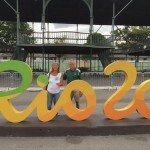 The facility has hosted numerous regional, national and international events in synchronized swimming, water polo, swimming and diving. 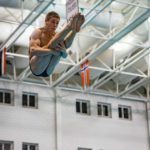 The NCAA National Championship Meets resulted in the highest percentage of American/US Open (world records in yards) in the history of swimming to this day. In 1977 it is the only pool that had fastest times ever swam in every event in one meet. 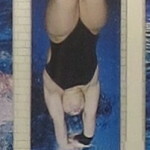 The CSU /Busbey Natatorium was the first pool where the Chinese National Team competed in Diving outside it country in 1981. The RFB Natatorium has continued to be a focal point of aquatics to this day. 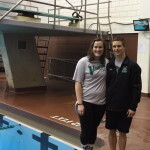 The Viking Swimming and Diving Program is one of the top mid major programs in the nation which has resulted in more wins than any other sport at CSU with twenty one Conference Championships since 1973. Even more amazing is the incredible academic and community outreach awards that have been achieve over the years. The experiences gained have resulted in alumni that have gone on to greatness in every career imaginable. 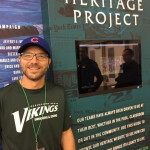 Here’s a short history of how the Heritage Project originated. Although we had a proud program with many accomplishments only the record board showed our history – and it had been falling apart in recent years. In the early 90’s I had a dream of displaying all our Team photos, Conference Championships, and updating the Colorado Display Board to give us the latest technology. The Champions Campaign was begun in 2009 under the direction of Joe Stockwell which resulted in a new record board, conference championship banners and the framing of both the old and new display boards. All the money was donated by alumni and friends. From the Champions Campaign a new effort was launched under the leadership of Dave Guinther to display our history. We name this final phase of the Champions Campaign the Heritage Project. 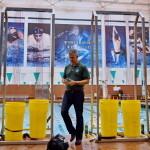 Dave’s innovative skills based on his background in busines technology has resulted in an interaction with friends and alumni of CSU Aquatics to celebrate our past, inspire current teams and provide additional resources for the future. The Heritage Project is spectacular! The goal was to create THE WOW FACTOR and it has been accomplished! But it is more than a graphic display. The Heritage Committee comprised of Dave Guinther, Wally Morton, Joe Stockwell, Jim Smith, Tom Fattlar, Jim Starrett, Mike Lehto, Paul Graham, Renee Adam and John McCreery, have set up a process to connect with alums and friends. It has tapped into the knowledge and expertise of those who care about CSU. 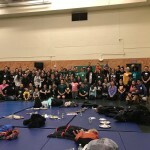 It has connected our alums/friends with each other and with the current participants along with top level administrators. It identifies our values, vision and goals for the future. It creates job position networking and resources to inspire those currently involved as students on our teams. 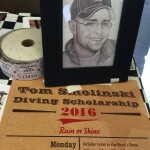 It gives the opportunity to give back to the program through Endowment Donations and other forms of giving. The goal was to be the most active alumni group as defined by the percentage and amount of giving at Cleveland State University. 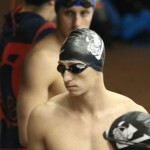 It underscores Swimming & Diving as a relevant and essential program for the present and future. There is much history and many more benefits of the Heritage Project that I have not mentioned. Join us this weekend on Friday September 24 and Saturday September 25 for CSU Homecoming and Swimming and Diving Heritage Weekend. 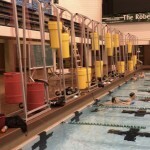 If for some reason you cannot be with us in person then go to csuvikings-swim-dive-heritage.com to stay connected with past teammates and current team. The unveiling of the Heritage Project on Saturday will be a conclusion to a job well done and the beginning of new successes to come. To all involved in this fabulous Heritage Project, my hat is off to you!! I became involved with some of the photograph work with Dave Gunuinther. Wally was my son’s coach. Just working with this crew was a great learning experience for me. The pool looks really amazing. I have been all over the country in many different pools, no place remotely comes close to this!! Well done!! better every year. I am blessed to be able to say my son swim there so good job everyone.